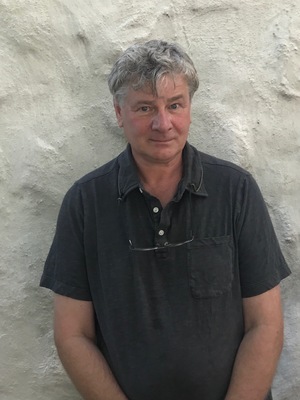 Professor Philip Armstrong has published widely in the area of contemporary visual arts and culture, as well as essays on contemporary political theory. Publications include Reticulations: Jean-Luc Nancy and the Networks of the Political (U of Minnesota P, 2009), Jean-Luc Nancy, Politique et au-delà: Entretien with Jason Smith (Galilée, 2011), and (with Laura Lisbon and Stephen Melville) As Painting: Division and Displacement (MIT Press and Wexner Center, 2001). Translations include Jean-Luc Nancy’s The Disavowed Community and The Pleasure in Drawing, as well as the collected writings of Michel Parmentier. Co-edited with Christian Bonnefoi and Bernard Moninot, “Exposer,” Cahiers de l’Agart 1 (2017). Co-edited with Jae Emerling, “A Tribute to Donald Preziosi,” Journal of Art Historiography 15 (December, 2016). Co-edited with Laura Lisbon, “Conversations with Hantaï: Didi-Huberman, Damisch, Rouan, Nancy,” Journal of Contemporary Painting 1:2 (2015). with Jean-Luc Nancy and Jason Smith, La politique et au-delà: Entretien avec Philip Armstrong et Jason E. Smith (Galilée, 2011). with Nina Berman, Kimani Njogu, and Mbugua Wa-Mungai, eds., “Disability, Culture and Human Rights: The Nairobi Workshop,” Disability Studies Quarterly 29, 4 (Fall 2009). with Laura Lisbon and Stephen Melville, As Painting: Division and Displacement (MIT Press and Wexner Center for the Arts, 2001). Michel Parmentier, collected writings in Guy Massaux, ed., Michel Parmentier, December 1965—November 20, 1999: A Retrospective (Paris and New York: Éditions Loevenbruck and Galerie Ortuzar, forthcoming). (with Jason Smith) “Politics and Beyond: An Interview with Jean-Luc Nancy” in Diacritics 43:4 (2015). “Das Verfängnis et l’être-avec: les enchevêtrements de Heidegger,” in Jean-Luc Nancy and Elisabeth Rigal, eds., Lire Être et temps (forthcoming 2018). “Michel Parmentier: Between Refusal and the Abandonment of Painting” in in Guy Massaux, ed., Michel Parmentier, December 1965—November 20, 1999: A Retrospective (Paris and New York: Éditions Loevenbruck, forthcoming). “Precarity/Abandonment” in Nancy and the Political, ed. Sanja Dejanovic (Edinburgh: Edinburgh University Press, 2015). “From Appearance to Exposure,” in “Jean-Luc Nancy and the Sense of the Visual,” Journal of Visual Culture 9:1 (2010). “Beyond (Human) Rights?” in “Disability, Culture and Human Rights: The Nairobi Workshop,” Disability Studies Quarterly 29, 4 (Fall 2009). “‘Waiting for Tear Gas’: Sekula in Seattle,” in Enculturation: A Journal of Rhetoric, Writing, and Culture 6.2 (Summer 2009). “Filets,” La Part de l’Œil 20 (2005). “Série(s) et apories: La peinture après le minimalism," La Part de l'Œil 17/18 (2001).